When I joined Sprout Social six short months ago it was with the goal to build a new and exciting agency partner program for our customers. I’ve always been a huge proponent of partnerships, which is why when I was presented with the opportunity to build out this channel I was more than intrigued. Sprout Social already had 3,000+ amazing agencies working and growing with us every day. And as a company, we pride ourselves on providing an exceptional customer experience. The opportunity to expand this ecosystem was a tremendous and exciting one to tackle. So I dove head first into solving a new way for Sprout Social to support our Agency customers and six months later, with the help of dozens of amazing people and agencies, “I” became “we” and the agency partner program is officially launching. 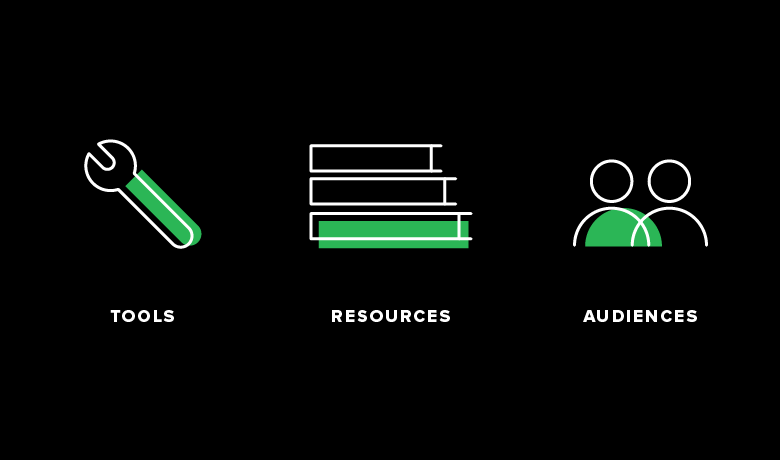 This post isn’t about what the agency program is, but how we built it and why it’s a priority for Sprout. During the early research phase, it became apparent that we weren’t going to create a new sales funnel right out of the gates. The data was telling us that our customers were happy, they were growing, they loved Sprout and they were reselling us already. We didn’t need to build a reseller program. Despite this being a fundamental piece to our agency program, it would not be what would dictate our success. Instead what we learned is that we needed to help enable our agencies to become the best, fastest and most successful social media agencies in the world. And we’re on a path to do just that. To understand the landscape, look at companies like HubSpot and how they were able to build a channel that now supports 40% of their revenue. SaaS businesses are rapidly trying to mimic this success, but often fall short because they try to build a program focused solely on selling software. HubSpot wasn’t successful because they offered a referral fee to their customers, they were successful because they took a new approach that focused on consulting their agencies and helping them succeed using inbound marketing services. It’s stories like this that gave us the inspiration for how we built an agency partner ecosystem unique to Sprout. This response resonated with me because from my first day, it was obvious that our focus at Sprout is truly on the customer. We believe that if we nail customer experience, the rest will fall in place. The clear leaders will be those that are able to keep up with the demands of the social landscape, prove the ROI of social and specialize in how to provide a positive, meaningful and impactful social experience. Enter Sprout and the Agency Partner Program. We built the foundation of our program on feedback from in depth research, surveys, interviews and a beta group of early founding members. We focused on building a program we felt would impact partner growth and address the biggest pain points our agency partners run up against. The results have already been incredibly exciting and we’re only just beginning. “As BIEN Media grows each year, Sprout has been right by our side, the Agency Program is an example of their commitment to seeing their clients succeed. We love being connected to a group of other Agency Partners from around the world via the closed Slack Channel, from sharing funny GIFs to getting difficult to answer questions responded we’re definitely feeling the love.” – Gibrán Huerta, Creative Director + CEO at BIEN Media. “The Agency Program has already helped us establish a level of leadership in our field here locally. Our clients that know the tool are impressed with us and the kind of marketing we are delivering through Sprout Social. We expect to see growth through this program; having a world class tool at our hands will only create world class results, thus leading to a greater uptake of clients. Already we are seeing clients move towards us due to our partnership with Sprout Social, so the future looks bright.” – Kieran Pearce, Soda Social. We don’t expect our agency partners to just resell our software and we don’t require our agency partners to expand their book of business. We simply want to help them grow. In turn, we hope they choose to grow with us. We believe that partnerships are built on mutual, sustainable growth and it will continue to be the goal of this program to support just that. Interested in learning more about the Agency Partner Program? Contact us to learn more! Tara Robertson: Tara is the agency business development lead at Sprout Social. With more than 15 years of experience, she has consulted for hundreds of companies on marketing strategy and execution.